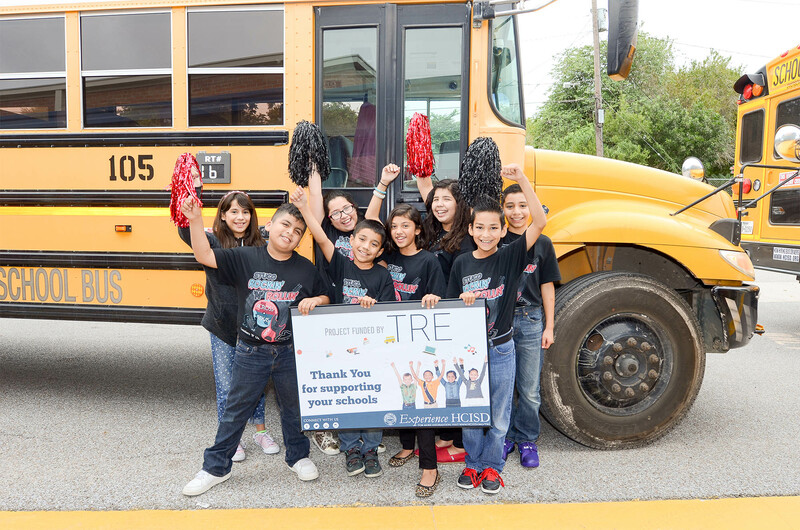 The Harlingen Consolidated Independent School District is enhancing its security and safety operations for students by installing high definition cameras on 54 of its school buses. The project was funded by the Tax Ratification, which was approved by the Harlingen community in September. HCISD invested a total of $102,708 on equipment and installation. The upgrade is a proactive measure that will improve bus safety for approximately 6,000 students who ride the bus every day giving the district accurate, reliable, and high-resolution data. Each bus will have four cameras on board with audio and video capabilities. With multiple views of the road, front exit, back of the bus and front of the bus, the system will capture approximately six hours of video per day to a mobile digital video recorder. All camera systems include an alert button, which bus drivers may use to mark specific footage for school officials to review. The platform also allows for a potential expansion of safety features as budgets allow creating an all-in-one solution for the district’s transportation management system. The equipment is replacing outdated VCR/VHS recording technologies that have been in buses for over 20 years. Other TRE-funded upgrades include the installation of cabinets and sinks in two science classrooms at Lamar Elementary. This project should be complete when students return from the Thanksgiving holiday. HCISD will begin upgrades to technology infrastructure at Harlingen High School and Harlingen High School South in December with an estimated $600,000 investment. The installation of security cameras at elementary campuses will begin early 2016.